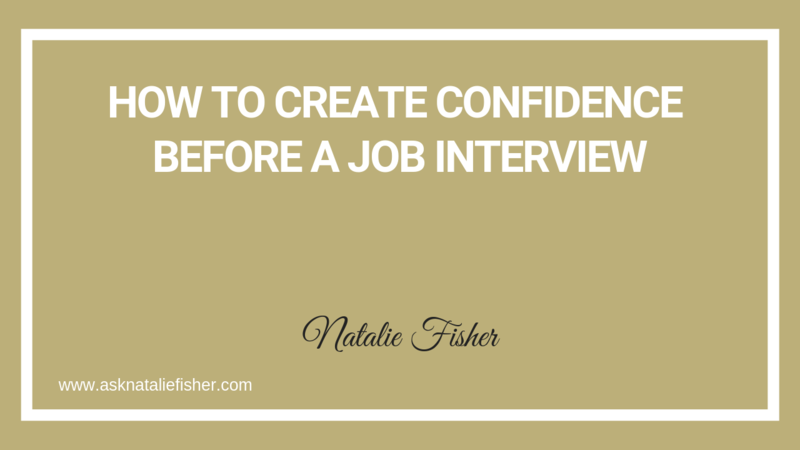 So in this series we’re talking about self confidence in interviews. 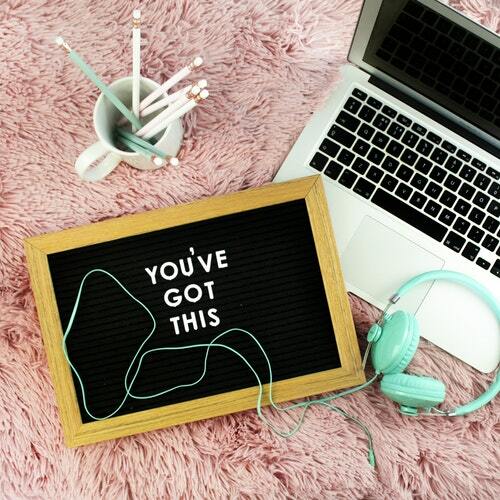 In this post I’ll be talking about: How to create self confidence to get the results you want, the secret that all self confident people have… and the one thought that will give you the self confidence that you need. If you’re trying to get confidence from your talent, if you’re trying to get self-confidence from your ability, you’re doing it hashtag backwards. 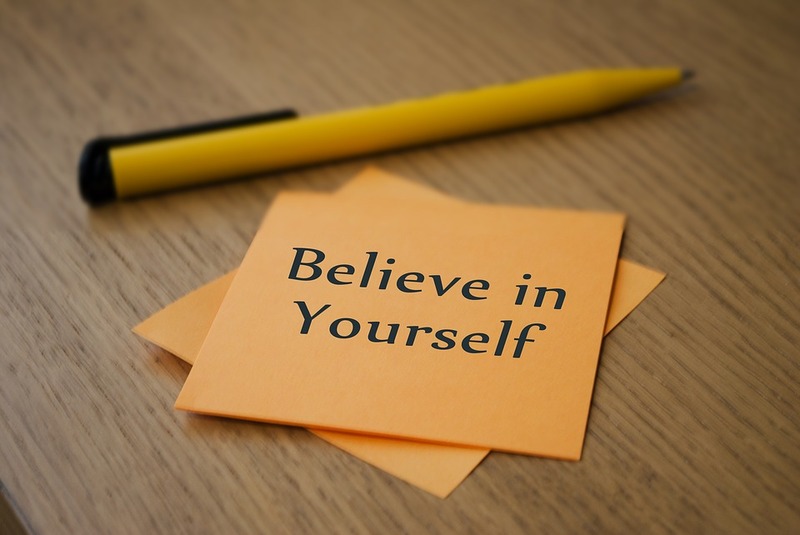 You have to believe in you capability to develop your capacity, to develop the talent, and then you can rely on the external evidence, but you have to have the self-confidence to create that external evidence. It looks like this. Number one, you take action. Number two, you fail, and number three, you learn. When you take action, you either get the result your want or not, but you always learn what works and what doesn’t. Take action, fail or not, learn. Know that Self-confident people don’t always succeed. A lot of people will look at some of the success that I’ve had maybe in my business and think, “Oh well it’s easy for her to be self-confident. Look at how successful she is.” But I promise you it’s the other way around. You have to have self-confidence before you create that success, not after. 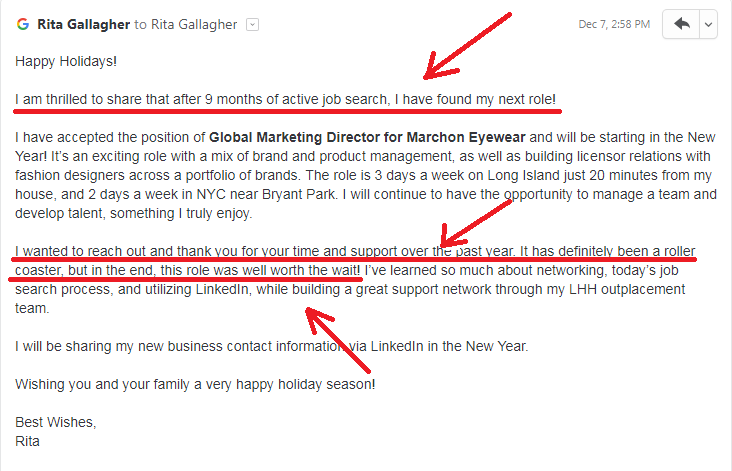 For example: I’m self-confident in my capability to grow, to have bigger dreams, to accomplish bigger things in my life. That is not based on me having already done that. My goals for my future are so much bigger than my past. I’ve never done that. It’s based on my ability to handle anything that comes my way and I know that what will come my way is an emotion. My self-confidence comes from knowing that I can experience any emotion and I can manage my mindset. You increase your capability by practicing and getting better. If you aren’t taking action, you’re moving away from self-confidence. You are failing ahead of time. Self-confidence fuels action. If you are not taking action, it is because you’re not generating the feeling of self-confidence. A lot of people will just decide to fail ahead of time, but failing ahead of time teaches you nothing. What I mean by failing ahead of time is deciding Not to apply, not to put yourself out there for opportunities, not to go to the interview because you feel like you’re not going to get the job anyway so why try.. If you take no action, how do you know what works and what doesn’t? If you’re going to fail, don’t fail ahead of time. Fail by taking action and learning, rather than failing by doing nothing and trying to stay comfortable. Yes, both can be considered failure but at least one gets you somewhere and increases your self-confidence by providing evidence that you are capable of taking action. Here is your thought that will help you. And there you have it, I hope you enjoyed today’s episode of the self confidence series. 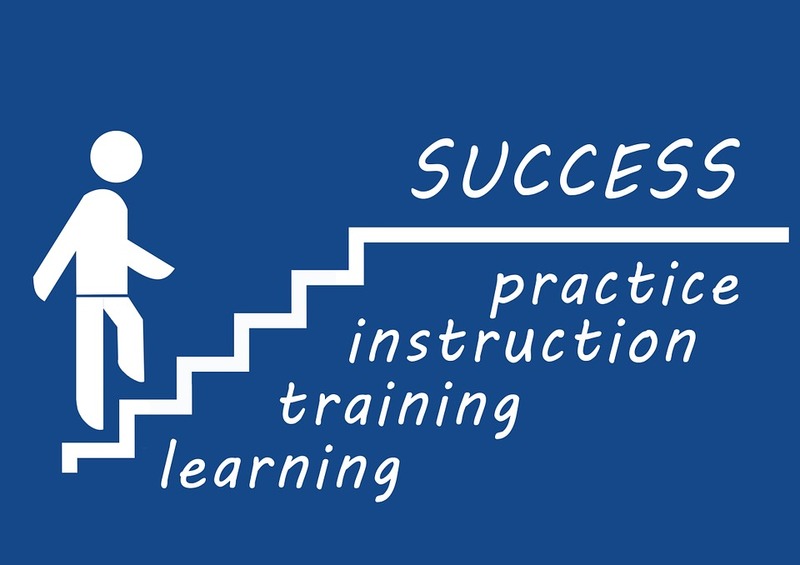 And if you do know how to prepare effectively, this will be extremely powerful for you because that will give you confidence that you have some information that you know for sure you can deliver confidently and that will definitely start to help. 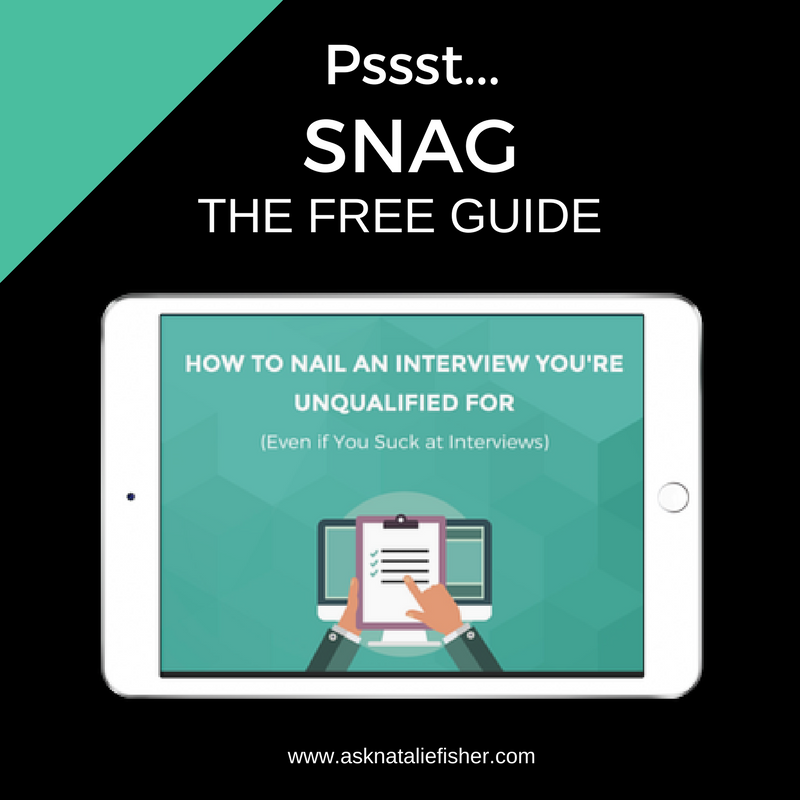 So with that said I’d like to offer you my free Ultimate Interview preparation guide, where you will get a ton of free value to get prepared for your next interview.